Billecart Salmon Brut Reserve Champagne is a popular Champagne available from DrinkSupermarket.com in 75cl to buy online. Visit DrinkSupermarket.com for the best price for 75cl of Billecart Salmon Brut Reserve Champagne or compare prices on our other Champagne products. Suave, intensely-flavoured and beautifully-balanced Champagne from one of the longest-established family-owned domaines. Founded in 1818 by Nicolas-François Billecart, this aristocratic estate is renowned for producing Champagnes that age gracefully over many years. Adding to their own select parcels of vines, they buy fruit from growers in the Marne Valley and the Montagne de Reims. High quality production protocols include long fermentations using estate-cultured yeasts. Where to buy Billecart Salmon Brut Reserve Champagne ? Billecart Salmon Brut Reserve Champagne Supermarkets & Stockists. 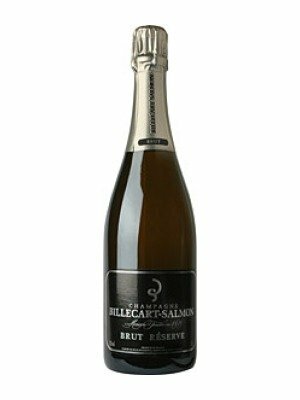 You can buy Billecart Salmon Brut Reserve Champagne online in most retailers and find it in the Champagne aisle in supermarkets but we found the best deals online for Billecart Salmon Brut Reserve Champagne in DrinkSupermarket.com, TheDrinkShop, and others. Compare the current price of Billecart Salmon Brut Reserve Champagne in 75cl size in the table of offers below. Simply click on the button to order Billecart Salmon Brut Reserve Champagne online now.